So, Boys and Girls - this is what you're letting yourself in for! 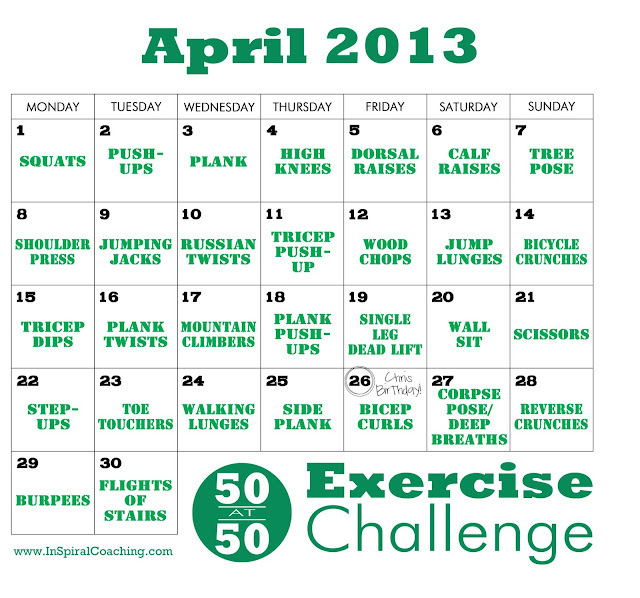 !...this is the exercise chart for the next month. Remember to do what is comfortable for you, and if necessary break up the exercises into a couple of chunks over the course of the day if 50 reps in one go is too much...! Most importantly HAVE FUN! and don't forget to share your photos! From April 1st – 30th I will be performing a different exercise for 50 reps each day and I'm getting as many of YOU as possible to join in so I don’t get lonely! (I've already got a great number saying that they're joining me on Facebook and here on the blog so I'm feeling the love people - thank you!!) 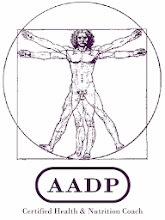 I will post each day’s exercise right here on my blog with full details and a photo or video demonstrating the correct form and modifications for differing abilities. You can subscribe to my blog HERE to ensure you don’t miss a day! The blog updates will be sent straight to your email every day as a lil' reminder! And feel free to share this challenge - the more the merrier! PLUS I'm holding a little contest to win a $25 iTunes Giftcard!! Send me your photos of you taking part in the challenge then share them on the InSpiral Facebook page or on instagram using the Hashtag #chris50at50 or email them to me. I'll award the prize to the most entertaining photo (as judged by Moi! It could be a silly photo, a weird workout location or just spectacular scenery or surprise me!!...). Multiple entries per person are welcome. Judges decision will be final. No monetary alternative available. Electronic gift card will be emailed to the winner within 10 days. 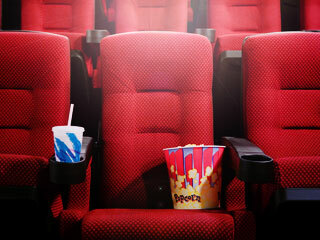 All photos must be posted by 1st May 2013 to be eligible. But for now, you've got the long weekend ahead of you - enjoy your Easter chocolates and get ready to work it off starting Monday! Help me celebrate the big half century with my own 50 @ 50 exercise challenge! From April 1st – 30th I will be performing a different exercise for 50 reps each day and I want YOU to join in so I don’t get lonely! Some days will be easier, others more challenging. If you’re younger than me you've got no excuse and if you’re older, (not many are) then you may just have a point to prove. I will post each day’s exercise right here on my blog with full details and a photo or video demonstrating the correct form and modifications for differing abilities. Subscribe to my blog HERE to ensure you don’t miss a day! The blog updates will be sent straight to your email every day as a lil' reminder! Join me, and let's all stay accountable. See you there – get your sweat on! Feel free to share this challenge - the more the merrier! 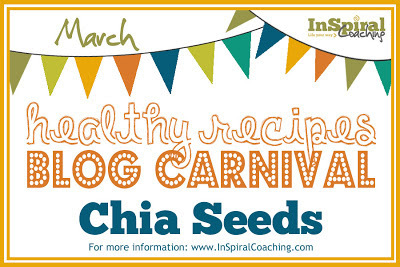 Welcome to my first Healthy Recipes Blog Carnival! 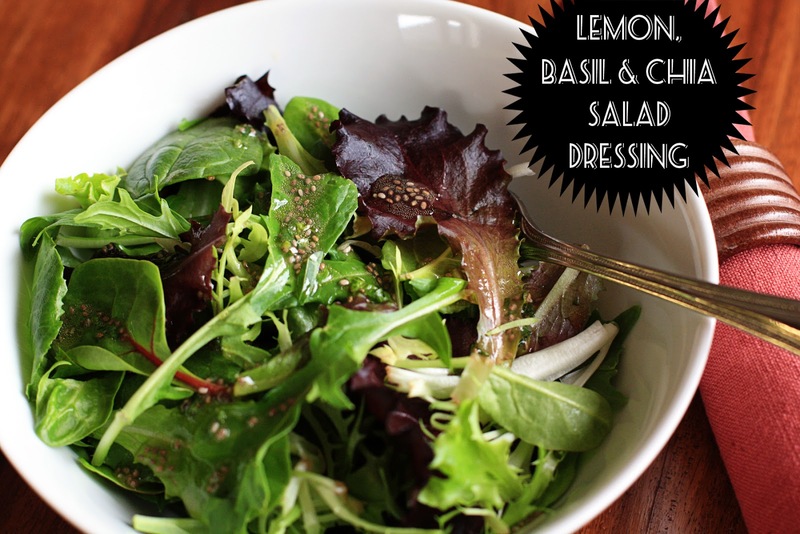 This month's featured ingredient is Chia Seeds. 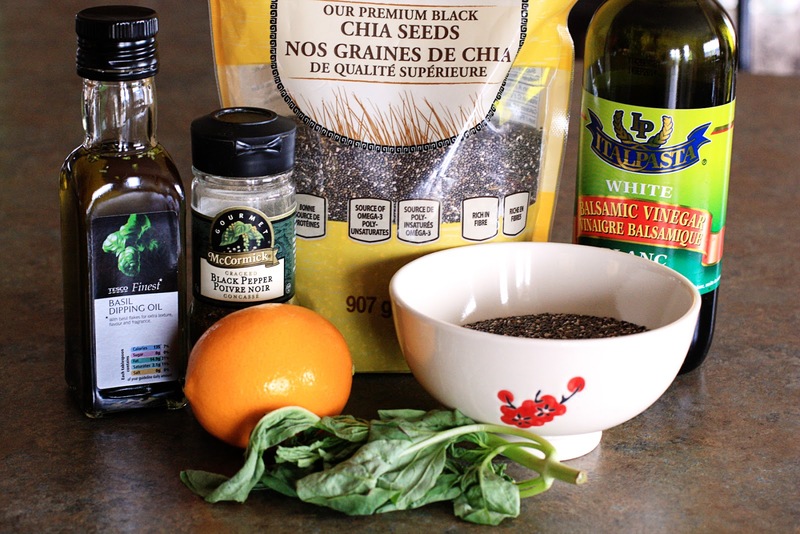 So what is Chia and what is so special about it? Chia absorbs up to 12 times its own weight and expands to curb your appetite, so adding just an ounce or so of chia seeds to your diet can reduce caloric intake and help lower the energy density (or calories) of foods – seriously, what’s not to like…? 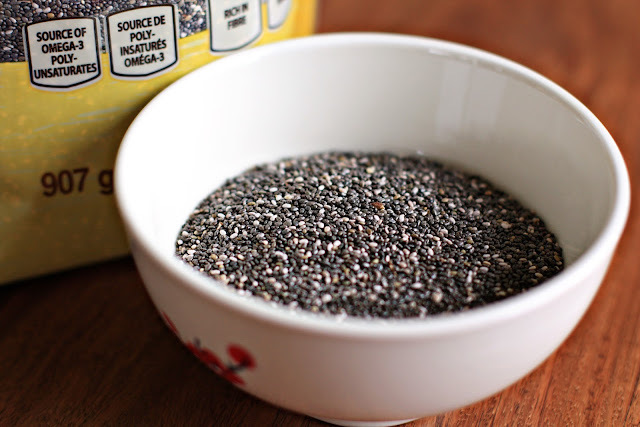 Just like any food or produce; make sure you are getting 100% Chia seeds from a quality reliable source! Lemon, Basil & Chia Salad Dressing by Me! 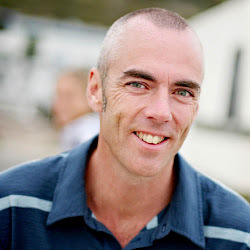 Thanks everyone for taking part in my first Blog Carnival - there are some fabulous looking recipes there that I'm looking forward to trying out! 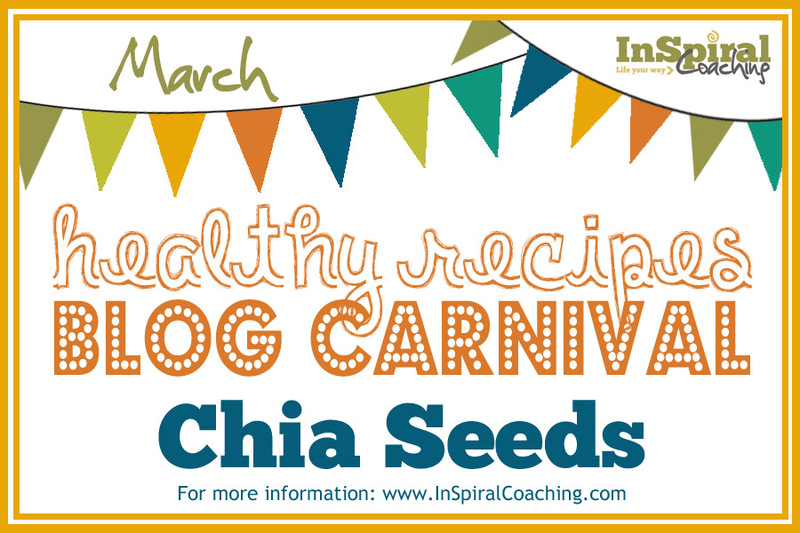 Join me next month for the next Healthy Recipes Blog Carnival - the featured ingredient will be posted soon and recipes will be posted on 15th April! 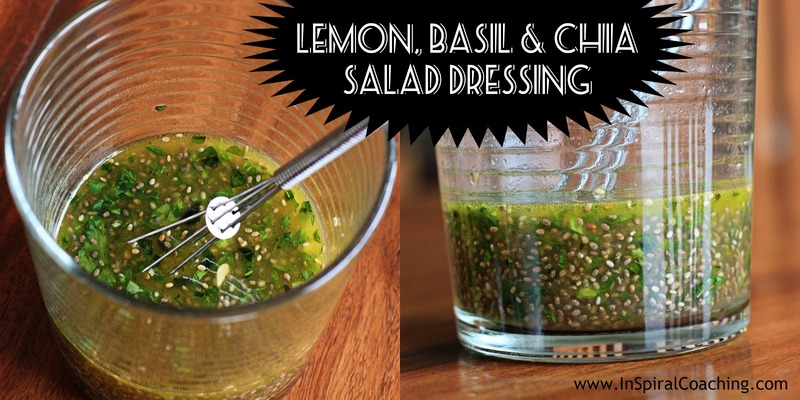 I don't know about you, but fresh basil tastes like summer to me! This is a great, light, summery & refreshing salad dressing and with the addition of chia seeds packs a great dose of Omega3 and Protein! 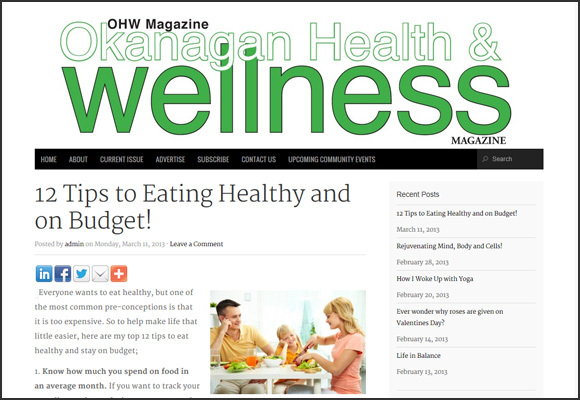 I'm delighted to be guest posting over at the Okanagan Health & Wellness Magazine blog today! I'm talking about tips for eating healthy whilst watching the pennies! For the full post come on over and say hello! This principle is essentially saying that our consciousness creates our reality. If someone thinks the world is full of deception, evil, and hatred, they will only focus their awareness on such matters and become completely blind to anything otherwise that would contradict this perception. Each one of us has the inherent power to transform our reality in any way we see fit. This power has the ability to transform not only one’s self, but all those around them. In an infinite reality, there is no beginning or end of anything, which signifies the limitless nature of all that is. Anything is possible and self-growth is likewise infinite. There is always a process of be-ing and become-ing. With no limits, anything that is infinitely possible, can happen, is happening, and will happen, in its infinite forms. This is a concept that is simply too magnificent to be able to comprehend by a human brain. The power of ‘now’ is monumental. Existing and living the present moment does away with the stress of thinking about ‘what-if’ scenarios or reliving painful memories in an endless loop. All that is, is, and always will be as such. There will be complete inner peace when someone lives in the ‘now’ moment. Love is such a powerful state of consciousness. When love is experienced, it is a feeling that requires something to be happy about. It can be a physical manifestation of energy such as a person, tree, etc. or it may be completely subtle and nonphysical such as the love for existence. This requirement of having something else be a part of the love equation, demonstrates the interconnectedness with all that is, in all its varying frequencies and energy forms. The individual is the greatest power plant that exists. The mind is more powerful than it is often given credit for. With the power to create, destroy, restore, shift, and change, anything is truly possible for a person to do. Realizing the inner power that each individual has will empower that person to not only completely control their being, but will give one’s self the opportunity to share this power with others and create mutually beneficial exchange relationships. How effective something is in creating a positive and beneficial shift or change in someone or something is a good indicator of the genuine nature of something. It will give a better reflection between truth and falsehood, or rather, between truth and the ignorance of truth. The seven Huna principles are a great introduction to the power of consciousness and should be able to transform one’s daily life into something far more empowering and positive, on many levels. There is such tremendous potential for each individual to make a difference not only in their own lives, but in the lives of each person on the planet. The power is all within you. Express it, with love.